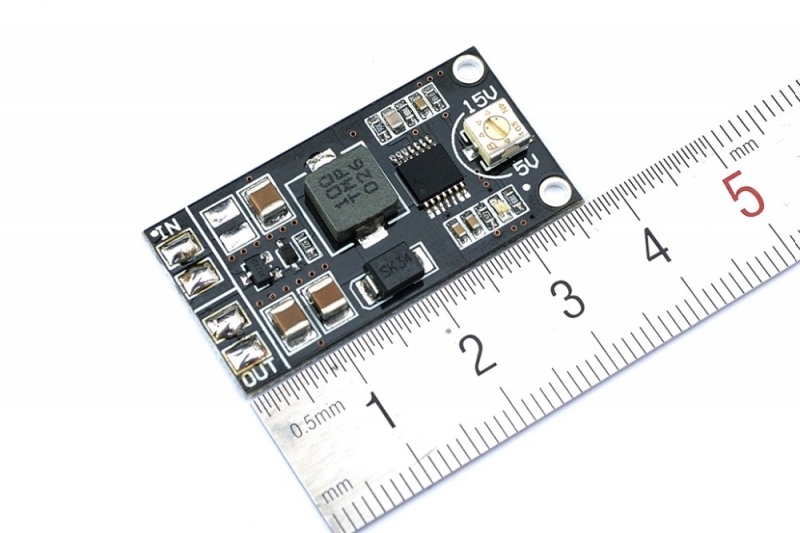 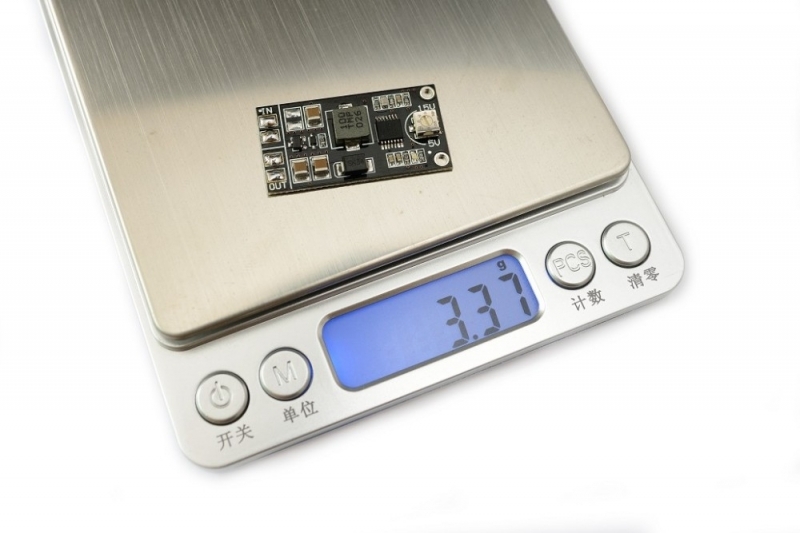 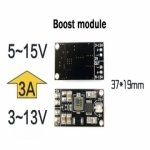 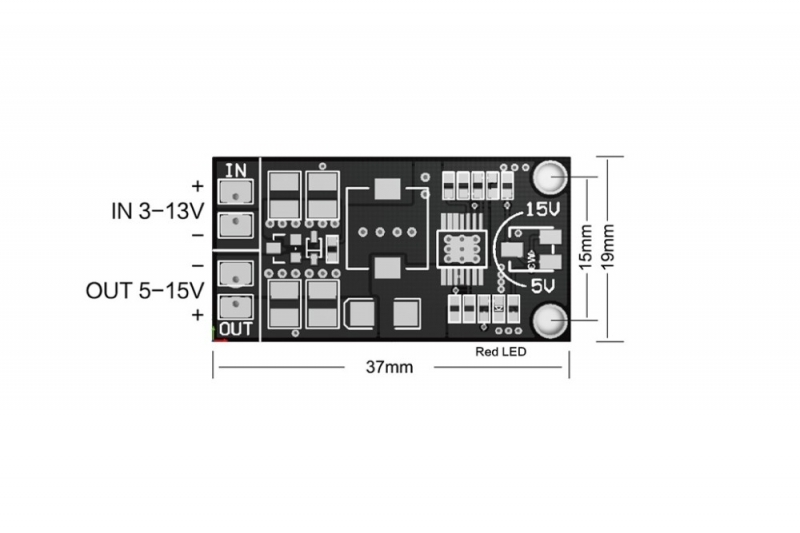 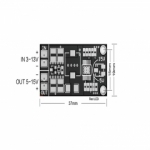 Matek VB5-15 is a step-up module, imported TI high-efficiency DC-DC boost chip output voltage 5-15V adjustable, the maximum output current up to 3A. 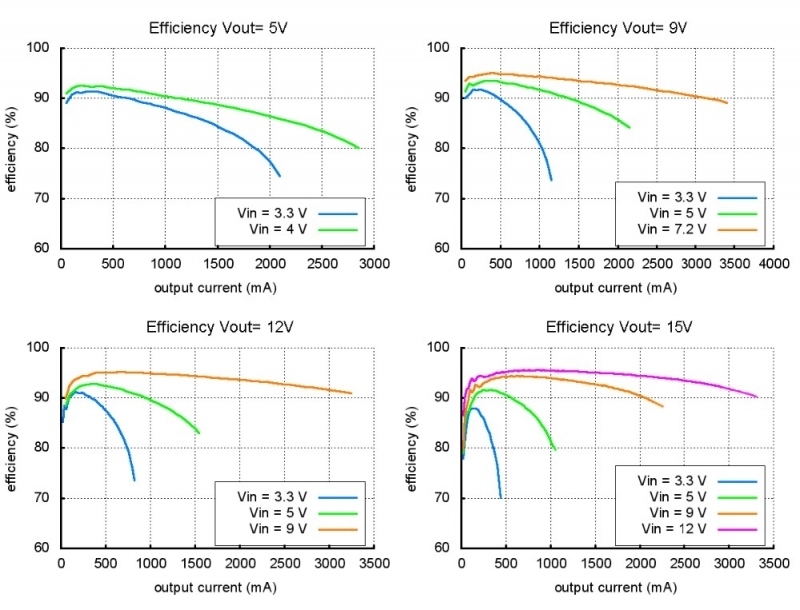 For a variety of electricity demand model. 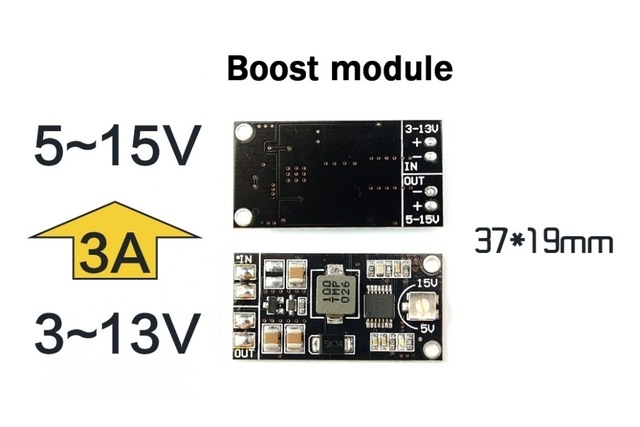 Example 3: 3S LiPo batteries as input. 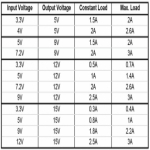 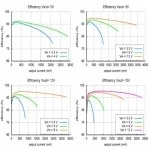 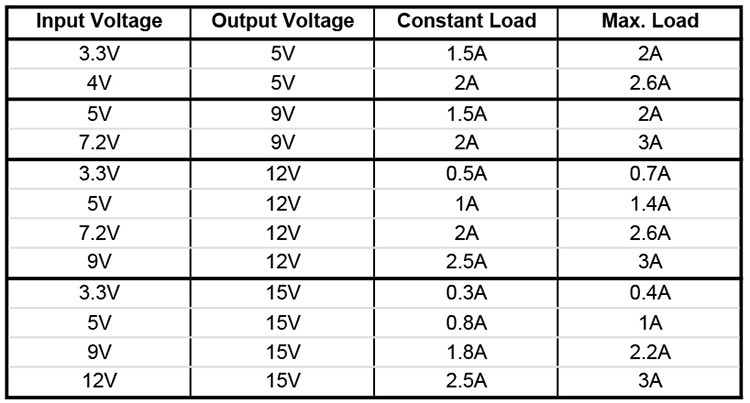 If you adjust the output voltage = 12V, 12V battery voltage above, as the battery voltage drops, the output of 12 ~ 12.6V can be obtained; and when the battery voltage falls below 12V, 12V obtain a stable output.